Inflammation has a fairly significant role in many different health issues, particularly those that end in “itis,” which literally means inflammation. 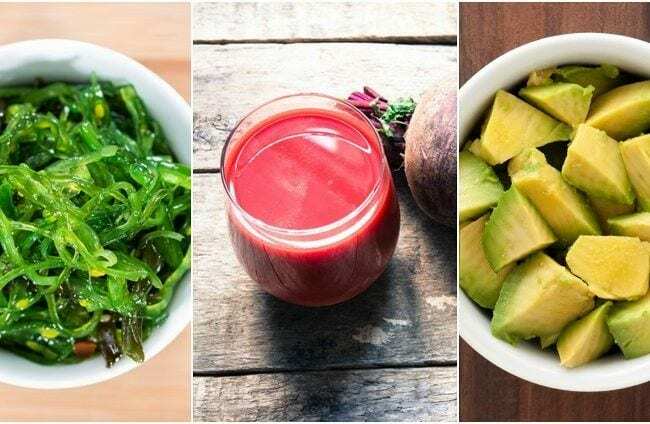 Inflammation is considered to be the root of nearly all chronic illness and disease, including heart disease, cancer, diabetes, arthritis, digestive disorders as well as obesity, depression, dementia and even premature aging. While inflammation is a basic biological process and an immunological defense mechanism that occurs, for example, when you get a splinter in your finger and it begins to turn red and swell. Inflammation allows the body to fight off various disease-causing bacteria, viruses, and parasites, serving as a defensive attack to get rid of the invader. When this process stops, healing is allowed to begin. It becomes a problem when this process fails to stop when it should. That can sometimes be genetic, or it can be caused by many different factors, such as smoking, eating a lot of unhealthy, processed foods or high blood pressure. Destabilizing cholesterol deposits in the coronary arteries leading to heart attacks or stroke. It may foster the proliferation of abnormal cells, assisting in their transformation into cancer. Poor diet. Foods that are mostly sugar, refined flours, processed foods and fast foods, inflammatory fats including trans fats and hydrogenated oils, red meat and poultry, many dairy products and alcohol. While that all probably sounds a bit frightening, reducing inflammation is a relatively easy thing to do when following these nine steps. The first step recommended by many physicians and nutritionists include identifying the causes of inflammation in your life followed by maintaining an anti-inflammatory lifestyle. While it’s fairly simple, a major lifestyle transformation can be difficult, but you can make that easier on yourself by doing it one step at a time so that it doesn’t feel like such an overwhelming challenge. An anti-inflammatory lifestyle is known to immensely improve overall health and will ultimately boost energy and vitality as well as speed recovery time for injury and illness and even serve to prevent or delay many of the symptoms that are most often related to aging. If you haven’t been paying much attention to your daily habits, it’s time to do so now. Consider every aspect of your day-to-day life, including factors like diet and lifestyle, such as how much sleep you get each night, whether or not you’re eating too much sugar, fat or even protein, if you’re drinking enough water, consuming too many caffeinated beverages or soda, as well as how inactive or active you are. Stress and environmental toxins like cigarette smoke, pollution, and pesticides on our food can all contribute to inflammation. You may even want to start a food and exercise journal to keep track of it all. The next step is to take a serious look at your diet. One of the key factors in reducing inflammation is following an anti-inflammatory diet. What that means is a diet based on as many whole and fresh foods as possible. If you’re like most people, you probably get the bulk of your carbs from processed starches and sugars, but those can contribute to metabolic dysfunctions, which often go hand-in-hand with excess inflammation. Instead, focus on whole foods that are rich in antioxidants. Think deeply pigmented vegetables and fruits like dark greens such as kale spinach and arugula as well as richly colored purples, reds, bright orange, and yellows. Healthy fats are an important part of an anti-inflammatory diet too. That includes foods like coconut oil, extra-virgin olive oil, nuts and seeds, and wild-caught salmon. Fish, with its healthy omega-3 fats, along with plant-based proteins like legumes, can help reduce inflammation. Meat, and to a lesser extent poultry, milk and dairy, are typically pro-inflammatory. Eat fewer foods made with flour and sugar, especially packaged snack foods, as these refined carbohydrates promote inflammation. Limit all consumption of processed and fast foods as much as possible. And, when it comes to soda, diet or regular, it doesn’t matter. People who regularly consume beverages sweetened with high-fructose corn syrup or artificial sweeteners are likely to have higher levels of insulin in the body that can contribute to inflammation. When cooking your own meals, use lots of spices instead of things like sugar and salt. They’re a lot more than flavoring agents, spices like ginger and turmeric are famous for their anti-inflammatory properties. Incorporate at least 30 minutes of physical activity into your schedule every day. It will reduce inflammation and boost immune function as well as provide cardiovascular benefits, boost your mood, decrease stress levels – and give you more energy to get through your busy day. In 2012, researchers followed over 4,000 middle-age volunteers for more than a decade and found that regardless of their BMI or weight, those who participated in at least two-and-a-half hours of moderate physical activity each week reduced their markers of inflammation by at least 12 percent. Do keep in mind that too much exercise can actually increase inflammation, so don’t overdo it. Aiming to achieve 10,000 steps a day is a good place to start. Avoid NSAIDS, antacids and antibiotics as much as possible, as all of these drugs can alter your gut in ways that harm your microbiome, which is the trillions of bugs in the gut that are responsible for everything from digesting food to regulating the immune system. When unhealthy “bad” bacteria outnumber healthy “good” bacteria, it can cause inflammation that weakens the intestinal wall and leads to a condition called “leaky gut.” That, in turn, causes toxins to be released which trigger an immune response leading to chronic inflammation. Research has shown that even if you shortchange yourself by just a few hours of sleep every night, it can trigger an excess of inflammation. Aim for at least seven hours of shut-eye each night. If you’re having trouble getting to sleep or staying asleep, you may need to make some changes. Avoid looking at electronic devices at least an hour before bedtime. We know it’s hard to function without those gadgets, but bringing them into your bedroom just invites inflammation into your life. The light from those screens can throw off the body’s internal clock to make a good night’s sleep pretty much impossible. You may also want to use blackout curtains, or an eye mask, to block out all light. If you still have a hard time falling asleep, trying taking a warm bath before bed, drinking chamomile tea or performing relaxing stretches just before it’s time to hit the sack. When the immune system is faced with foreign substances like environmental toxins, it typically reacts by creating inflammation. In this next step, start detoxifying your body by avoiding exposure to all cigarette smoke as well as toxins and chemicals that come from cleaning products, dry cleaning and air fresheners. Switch to safe, natural household cleaners and personal care products and avoid the use of all pesticides and herbicides. Beauty products like fragrances, cosmetics, lotions, hair dyes, creams, and cleansers often contain pro-inflammatory agents, so look for more natural alternatives and phthalate-free items instead. While drinking more water can be an important step to a healthier lifestyle, tap water sometimes contains inflammatory chemicals, so be sure to run it through a reverse-osmosis water filter to help ensure that you’re not getting potential harmful compounds with it. Stress relief is a very important part of keeping inflammation levels down. A stressed out mind = a stressed out body. Try to do something every day to relieve stress. Practicing meditation is ideal – science has shown that this mind-body approach offers significant benefits to your health. In fact, when researchers conducted a review in 2009 of 34 different studies, they concluded that this type of therapy was able to reduce inflammation markers. Even just five to ten minutes each day is beneficial. Regular massage is helpful too as research has suggested that a 45-minute massage can reduce levels of pro-inflammatory cytokines. We all know that getting too much sun isn’t good for our skin and could even cause cancer, but the problem is, many people actually become “sun phobic,” which can be dangerous. The body needs sunlight to produce vitamin D, and it’s a crucial immune system regulator. When you don’t get enough of this so-called sunshine vitamin, this compromises your immune system and eliminates one of your most potent defenses against low grade chronic systemic inflammation. As vitamin D is essential to immunity, a deficiency means that the body will be less able fight off pathogens, such as bad bacteria and fungus that can cause infection. When those pathogens do cause an inflammatory response in the body, vitamin D won’t be there to help switch off that response that would have allowed the body to return back to normal. Instead, the inflammation remains in the body, and while you may not have a fever, there’s a good chance you’ll experience symptoms of low grade chronic systemic inflammation, like premature signs of aging, a greater likelihood of infection, acid reflux, skin problems like acne, arthritis, high blood pressure, heart disease, diabetes, chronic pain and many other conditions. Try to get out in the sun for 15 to 20 minutes every day. If you can exercise outdoors, you’ll be getting a two-for-one! Whether the day is sunny or cloudy, as long as you go outside during the day, you’ll still benefit from the overcast weather. Now the fun part! Remember, if you don’t take care of yourself, you can’t properly take care of others, so it’s essential to take care of “me”. Every single day, aim to take to do something that restores, rather than drains you. Me time is not something you should feel guilty about. It gives you an opportunity to relax, refocus and recharge. And when you do that, you can come back to your responsibilities with greater focus, commitment, and enjoyment. How you to spend that free time is unique for every individual. If you had an extra 15 minutes, a half hour, an afternoon or an entire day, what would you do to make yourself feel rejuvenated, happy and relaxed? Write a list and start scheduling some of those things into your calendar. An important part of that is to start treating yourself better – treat yourself like you would treat your friends and you’ll be infinitely happier. So go ahead and pat yourself on the back after nailing that amazing presentation or simply the fact that you’re having an awesome hair day.